Definition at line 142 of file name-tree-iterator.hpp. Definition at line 102 of file name-tree-iterator.cpp. 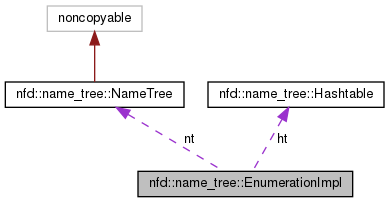 Implemented in nfd::name_tree::PartialEnumerationImpl, and nfd::name_tree::FullEnumerationImpl. Definition at line 155 of file name-tree-iterator.hpp. Definition at line 156 of file name-tree-iterator.hpp.